The new versions come with a brand new on-boarding experience for new users, a revamped lightweight screen recording tool that has additional options to cancel recording, improvements to screenshot annotation, and a slew of new features, bug fixes, performance optimisations and UI changes to help you work even faster. Both versions also come with architectural changes to support our upcoming Business plan (for small to medium sized teams). 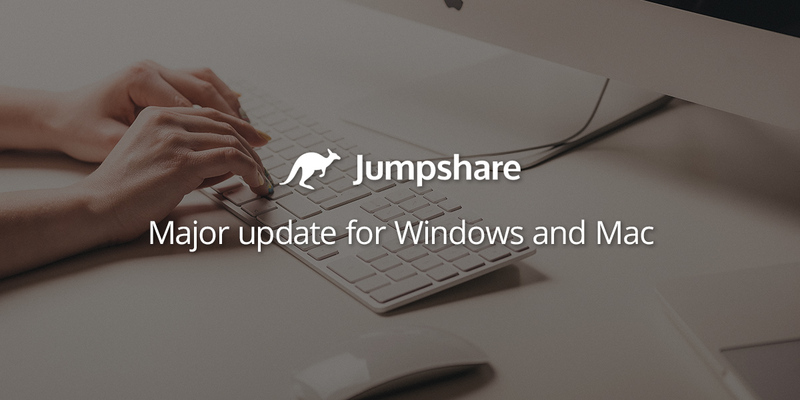 You can view the complete list of changes for both Windows and Mac apps below. What’s new in Mac v 2.3.0? What’s new in Windows v2.1.0? Various performance improvements and user interface tweaks. If you’re using Windows v2.0.9 or later, you should receive an update automatically. If you’re using v2.0.8 or earlier, you will need to uninstall it and download the latest version from our website using the button below. All versions of Mac apps will update automatically to the latest version but if you haven’t tried our app yet, you can download it today.